YPSILANTI — The Megatron Oracles (Big MO) Team 314 edged closer to another appearance in the Michigan state championship for FIRST® Robotics Competition (FRC). The team finished with an 8-4 record for 12th place out of 41 teams this past weekend at the competition hosted at Lincoln High School in Ypsilanti. Big MO was the first pick of the fourth alliance, but lost in the quarterfinals during a tie-breaker match. The team excelled off the field during the competition. 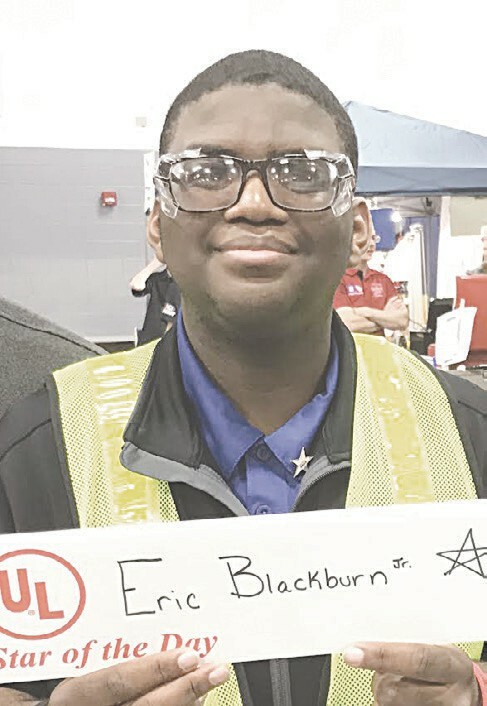 For the second time this season, safety judges awarded the team’s safety captain, Eric Blackburn Jr., with a Safety Star award. Last year’s safety campaign, John Glaser, also received two safety star recognitions. The team was also recognized as a semi-finalist for the Safety Award sponsored by Underwriters Laboratories. This is the first time Big MO has been recognized for its safety efforts on the team and in the community. Crain is optimistic Big MO will qualify for the state championship and is reaching out to the community and individuals to raise additional funds to cover the cost of attending the state championship and, hopefully, the world championship in Detroit at the end of April. To make a donation or to get more information on what the team needs, contact Ellen Crain at 810-691-2810 or ellenc@bigmo314.com. — G.G.